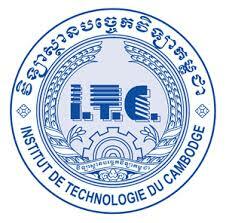 Following the success of the first edition, held in 2014 on the occasion of the celebrations for the International Year of Crystallography, the IUCr, UNESCO, Rigaku Corporation, together with UNESCO Office in Phnom Penh, the Asian Crystallographic Association (AsCA) and the Institute of Technology of Cambodia organize the OpenLab Cambodia 2. Delegates of Ministries of Cambodian Government: Ministry of Education, Youth and Sport; Ministry of Mines and Energy; Ministry of Environment. Students and young scientists from all universities, government and private organizations from Cambodia and neighbouring countries are welcomed to submit their applications by email to Dr. Bun Kim Ngun. Applications must be accompanied by a personal statement of motivations and a letter of reference signed by a supervisor.